Spring is in full effect and the days are getting longer. With more sunlight there’s a greater opportunity to save energy and money on your outdoor lighting – and you don’t even need to lift a hand. 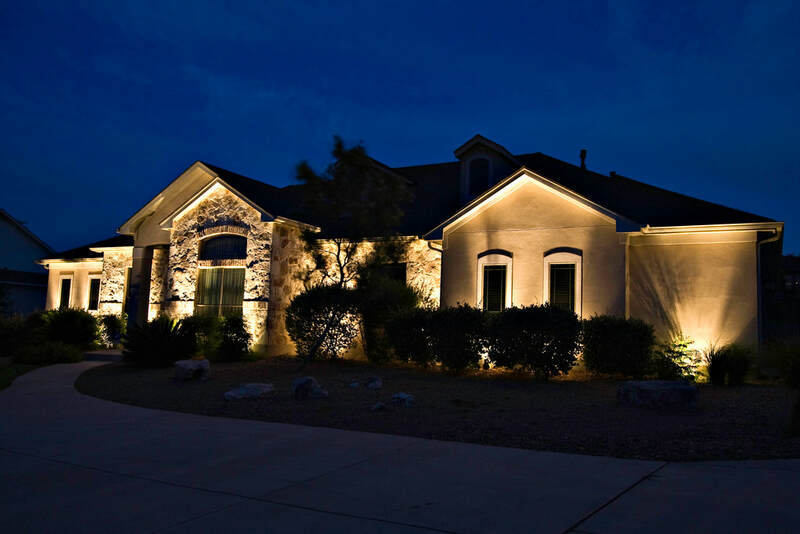 Leave the burden of turning on/off lighting to outdoor controls, including dusk to dawn fixtures (with photocells), timers, solar lights and motion sensors. All of these options are simple to use and will put your mind at ease. Perhaps the most hands-off approach, dusk to dawn light fixtures use a photocell to control lighting fixtures. Photocells detect natural light to turn on and off when the sun sets and rises, respectively. This option is a big energy saver as there’s no unnecessary usage. They also account for seasonal shifts in daylight as they will automatically conform to longer days and shorter nights – unlike a timer that must be manually adjusted. Photocells can easily be added to most fixtures to convert them into dusk to dawn fixtures. Solar lights are a “set it and forget it” type of lighting. They require little to no maintenance and typically use LED lights, making them even more energy efficient. Solar lights work by using a solar cell that converts sunlight into an electrical current. The sunlight is stored in the fixture during the day, then in the evening, a photoreceptor senses the darkness and turns on the light. The solar cell stops working and gets weaker and eventually turns the light off. The process of collecting sunlight then begins again the next morning. Do bumps in the night keep you on edge? You can relax and take comfort in knowing that your motion detector light fixtures will turn on when they sense movement nearby. Motion-activated fixtures have sensors that detect infrared waves, or heat waves that are emitted by moving objects. Install them on your garage, by entry ways or directed towards your driveway for peace of mind. Whether you spend your spring and summer nights outside on the patio, or just want added home security, Lighting Supply will have the best outdoor lighting controls for your application. We carry hundreds of options and our Customer Service department is standing by to answer any questions. Give them a call Monday through Friday from 7:00 am – 6:00 pm ET or leave a comment below! With LED lighting becoming the norm, more people are becoming aware of the benefits of upgrading outdated lighting. However, this does not mean the switch is always straight-forward; there’s room for error. To avoid these issues, check out these common mistakes first-time LED users tend to make. ​Assuming your fixture accepts LED bulbs. Think of any light bulb imaginable; chances are there’s an LED replacement. There are numerous terms to describe the usability of these products. You may see terms like “ballast compatible”, “plug and play”, "instant fit" or “direct wire”. Ballast compatible, plug and play and instant fit all essentially mean the same – remove your current bulb and simply replace it with its LED counterpart. If you have a direct wire LED bulb, you will need to remove the ballast, or power supply, and hard-wire the LED bulb and socket. Always read the manufacturer’s specifications and your fixture’s guidelines to ensure the proper use and acceptance. ​Not taking light output into account. When replacing standard light bulbs, we are accustomed to comparing the wattage and finding one that matches the light output we are looking for. With LED bulbs, the comparison is not always so simple. To get a more accurate LED replacement, you must check the lumen output, or the amount of visible light a bulb emits. For example, a 60 watt A19 bulb – think the standard light bulb in your home – produces about 800 lumens. Its LED counterpart that produces the same number of lumens will use, on average, only 10 watts. Learn more about lumen comparison here. ​Choosing the wrong color temperature. Identifying the right color temperature, measured in Kelvin, is important when lighting a room. Color temperature has nothing to do with the actual heat a bulb produces, but rather the color tone of the bulb – ranging from warm to cool to daylight. For some bulbs, it’s simple to figure out their color temperature as it is stamped on the bulb itself. However, some will not be so obvious. For example, if you are replacing an incandescent bulb with an LED and want it to emit the same warmness, choose a bulb with a Kelvin rating of 2200K-2700K. For halogen bulbs, choose a color temperature around 3000K-3200K, as most halogens have a warm color tone. ​Not considering the light pattern the bulb will produce. When choosing an LED replacement bulb, be sure to check the beam angle and light pattern. Not all light bulbs are omni-directional; meaning the light shines in all directions. Also, not all bulbs will project the same light pattern you’re aiming for. For example, an A19 bulb is omni-directional and is great for general lighting purposes. Whereas a PAR-shaped bulb is highly directional and is ideal for highlighting landscape elements in front of your home. Bulbs can also have different beam spreads that can vary from narrow to wide, depending on their application. Not using a compatible dimmer. Incandescent and halogen bulbs are fundamentally dimmable with any dimmer switch as long as the voltage and wattage requirements are met. However, not all dimmer switches are compatible with LED bulbs and not all LED bulbs are dimmable. If you experience flickering, strobing, unresponsive bulbs, or bulbs that turn off before reaching the lowest dimming range, it’s likely that your dimmer is not compatible with your LED bulb. Ensure that you are using an LED dimmer so the bulbs function properly. With the demand for LED products on a steep incline, it seems there are new companies popping up each day with the “latest and greatest” technology. However, many of these products are made in foreign countries with no direct customer service – making returns of damaged or defective products nearly impossible. Many of these new companies are not reputable and may be producing low quality products that will fail quickly. Research the brands and companies you are ordering from and be aware of their history, return policy, warranties and customer reviews. With so many LED options on the market, it can be hard to make the right decision. Let us give you a hand. Lighting Supply been around for 35 years and we're focused on strong customer support and selling trusted brands. Our knowledgeable Customer Service Representatives are here to help guide you in the right direction. Give them a call at 877.231.2852 or leave a comment below. When you start to look up and pay attention to the lighting around you, you’ll notice recessed lights are a very popular choice – residentially and commercially. Homes can use dozens of these fixtures; commercially, there could be hundreds. Recessed lighting is flush with the ceiling where the housing is hidden. These fixtures are comprised of three parts: the housing, trim and bulb. This trim is the decorative, finished part of the fixture that we see, and the housing is installed inside the opening in the ceiling. There are many different bulbs that be used in recessed lighting fixtures including incandescent, compact fluorescent (CFL) and LED. Maintaining those recessed lights can be daunting and burdensome, not to mention the high energy costs if you’re still using incandescent bulbs. Even if you are using LED bulbs, they only have an average life of about 25,000 hours. Upgrade your recessed lighting with an LED retrofit kit, doubling the LED life with an average life of about 50,000 hours. These fixtures have an integrated driver, or power supply, and trim. The LED retrofit unit fits right into the existing housing. Install a recessed retrofit kit in a fraction of the time it takes to mount a conventional fixture. Remove the original bulb and trim. Install the socket adapter into the recessed housing. Plug in the quick connectors to make the electrical connection to the trim. Install the torsion springs into the bracket of the recessed fixture. Straighten the trim and push it into the housing – it should snap into place. *Note: Disconnect all electricity to the room you are working in. Use a voltage meter to ensure there is no power coming into the fixture before proceeding. As always, if you are not comfortable working with electricity, contact a professional electrician. Lighting Supply offers many reputable brands that are carrying their own lines of recessed retrofit kits, including TCP and FEIT. These kits come in different color temperatures, sizes and styles such as the standard flush look and gimbal – a lens that can be adjusted to highlight features of your home or business. There are even wet location rated options so you can upgrade the lights in your bathroom and shower. Still have questions? Give our knowledgeable Customer Service team a call at 877.231.2852. Our representatives will help you narrow down your choices to find the perfect LED retrofit kit for your application. You can also contact us here or leave a comment below. Take a step towards the future of farming with horticulture lighting. Grow crops year round with tailor-made lighting systems where outdoor conditions are mimicked for optimal growth. Choose a horizontal farm or a vertical farm system. Horizontal farms are what most people are familiar with - all plants on the ground level. Vertical farms, however, are growing in popularity due to their space-saving benefits. They allow for more plants to be packed closer together and stacked on top of each other on shelving units; maximizing the grow. When plants are grown in a controlled environment, color spectrum, temperature and light intensity can be regulated so crops can thrive with faster growth, bigger harvests and higher quality plants. Indoor farming can be difficult and there is lots of science that comes into play. The mother plant is where the cycle begins. Typically, crops are not cultivated starting with seeds. Rather, a clone plant is grown by cutting an off-shoot from a branch of the mother plant and then dipped into rooting gel. After about 7-12 days, roots begin to develop on the clone plant. The plants then go through the vegetative and flowering/fruiting stages. In the flowering stage, lights are on for about 12 hours and off for about 12 hours per day. During the 12-hour dark cycle, it’s important that there is absolutely no light present in the room. Lastly, the plants are harvested. How does your light bulb choice affect the growth? There is still some debate about which lighting applications are ideal and which type of lighting is needed to obtain the best responses in plant growth. Green plants need light for photosynthesis to take place. Photosynthesis is the process by which green plants use sunlight to synthesize foods from carbon dioxide and water. Light exposure in greenhouses can be limited so supplemental lighting is needed to grow plants all year long. The three types of bulbs that are most commonly used are High Pressure Sodium, Metal Halide and LED. High Pressure Sodium (HPS) bulbs are used during the vegetative and reproductive cycles. They may also be used as supplemental light for full-spectrum lighting. HPS bulbs emit a yellow-red visible light. The red spectrum may induce a greater flowering and fruiting response in plants and may cause the plants to grow more rapidly. In a greenhouse, plants receive light from blue spectrum naturally, so HPS bulbs are often used as supplemental lighting so the plants also receive light from the red spectrum. Metal Halide and HPS lamps have a color spectrum similar to the sun’s rays, which make them great for growing plants. Metal Halide bulbs are commonly used in the vegetative cycle since they radiate blue and ultraviolet radiation. Blue spectrum lighting may initiate a better vegetative response in plants. The white light from LED bulbs provide a full-spectrum of light designed to emulate natural light with a balanced spectrum of red, blue and green. LEDs are a great choice for all grow operations. The industry standard for the vegetative cycle is to use 400W HID bulbs. Even in a small grow room, energy costs can be astronomical. LED bulbs are great not only for lowering your energy costs, but they also produce little to no heat. Even though they produce little heat, LED grow lights should be kept at least 12” away from plants to prevent leaf burn. Need a reputable horticulture lighting brand? Look no further than Growlite. Growlite and Barron Lighting Group together have been in business for over 100 years. They are pushing to challenge the status quo of horticulture lighting products with innovative ideas in a niche market. Their mission is to provide the highest quality, safest products in the market and educate the indoor grow market with the latest and greatest technologies. They continue to deliver state-of-the-art lamps, ballasts and fixtures engineered specifically for the indoor horticulture market. While we don't claim to be horticulture farming experts, Lighting Supply is your one-stop shop for all horticulture lighting products including lamps, ballasts and fixtures from trusted brands. Please contact an expert when looking to set up your own grow operation. If you have any questions regarding the lighting aspects, give our Customer Service team a call at 877.231.2852 or leave a comment below. We are always happy to help! Warm, Cool, Daylight - What Color Temperature is Best for You? ​Have you noticed how some light bulbs appear more yellow or orange and others a bright white? This can be explained by what’s known in the lighting industry as color temperature. Color temperature refers to how warm or cool a bulb’s color appears. Try not to get caught up on the word “temperature” since this has nothing to do with the actual heat the bulb produces. Color temperature is measured in Kelvin (k) – a thermodynamic temperature. The lower the Kelvin rating, the warmer the bulb will appear; the higher the rating, the cooler, and seemingly brighter, the bulb. Color temperatures range from warm white to daylight; and even full spectrum beyond that. When you imagine your typical household incandescent bulb, you’ll think of the warm glow it emits. Incandescent bulbs have a color temperature of around 2700K, or warm white. When most people think of LED bulbs, they picture a bright white; or daylight (5000K). However, it’s a common misconception that LED bulbs are only offered in this bright white, which most people find too harsh or blue for use in common areas of homes. CFL and LED bulbs can actually come very close to the warm color of incandescent bulbs, while still offering a wide range of other color temperature options. Let’s take a look at the different color temperatures and their best uses. Warm white bulbs will have a Kelvin temperature of 2700K; again, picture any incandescent bulb in your home. These bulbs promote a warm and cozy environment and are best utilized in restaurants, hotel lobbies and homes. Quickly growing in popularity, LED Edison bulbs mimic the look and warmth of vintage incandescent bulbs with unique filament designs. Try them in your living room or bedroom! Soft white bulbs have a Kelvin temperature of 3000K. They will have a slightly more white appearance than its warm white counterpart. Use these in libraries, office areas and retail stores to create an intimate and personal space. This color temperature is also great for homes and is interchangeable with warm white color tones. Neutral white bulbs have a Kelvin temperature of 3500K. They have a mostly white appearance with a subtle yellow tint. This color temperature is ideal for public reception areas, showrooms, bookstores and office areas where you want it to feel friendly, inviting and non-threatening. Cool white bulbs have a Kelvin temperature of 4000K-4200K. Cool white bulbs have the appearance of pure white and make a room feel neat, clean and efficient. 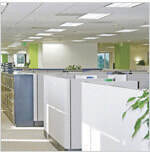 They are commonly used in conference rooms, classrooms and hospitals. Cool white bulbs are known to help with concentration in classrooms and productivity at the work place. Studies show it reduces the brain’s production of melatonin, a hormone that plays a role in our sleep, reducing daytime sleepiness. Daylight bulbs have a Kelvin temperature of 5000K and higher. Museums, jewelry stores and print shops commonly use daylight bulbs because they are great for exacting coloration. They are also very bright and promote alertness, making them great for use in medical exam rooms. You can also use them in warehouses because, similarly to cool white bulbs, they also encourage higher productivity and ensure your employees can see well – cutting back on workplace injuries. Full spectrum bulbs have a color temperature of 5700K and higher. Full spectrum light most closely simulates the light we receive from the sun. Humans rely on sunlight for not only Vitamin D, but it’s also thought to produce serotonin, a hormone associated with happiness and focus. For those who aren’t exposed to the sun very often, it can often leave us feeling down in the dumps – especially in the wintertime. Full spectrum lighting helps alleviate these feelings and has shown to boost moods and a feeling of calmness. When deciding which color temperature is best for you, consider what feeling you are trying to evoke in each room. Do you want all of your rooms to have the same lighting, or are you going to base the lighting in each room on a preferred ambiance and tasks completed in those rooms? Many people prefer a brighter light in the bathroom or at a vanity where make-up is applied, whereas they may want a warmer light in their living room or bedroom for relaxing. This is an individual decision based on preference. In any situation, if you have questions, our Customer Service team is happy to assist! Give us a call at 877.231.2852 or contact us here. If you’re looking for a lighting brand that cares about quality products and the needs of their customers, Sunlite is the brand for you! Morty Kohn founded his company, Sunshine Lighting, in 1980 as a one man show that has quickly grown into an internationally trusted company. Years later in 1996, the company began to mass-produce the Sunlite brand. Their product line includes many types of bulbs and technology – such as LED, CFL, Incandescent, Halogen and stylish light fixtures. According to Sunlite, their dedicated team of technical and product specialists ensure that their products are designed with safety and the environment in mind. Many of their products carry the EnergyStar certification and Sunlite is also partnered with the Department of Energy (DOE) Lighting Facts program, the American Lighting Association (ALA), along with many others. 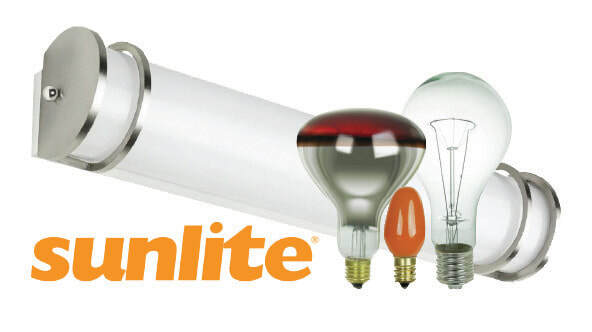 Visit LightingSupply.com to check out the almost 2,000 Sunlite products we now offer. For information, give our Customer Service team a call at 877.231.2852 or email us here. Trying to determine which light bulb you need can send your head spinning. It can be very confusing with so many different shapes and sizes to choose from. You may even be questioning why there is such a wide variety of choices. Light fixtures are generally specific about which light bulb can be used so it’s important to know exactly what you are looking for. Luckily, of all the shapes offered, there are only eight that you’ll typically need to worry about in any given home. ​Arbitrary (A): When you picture a light bulb, you’re likely thinking of an arbitrary shaped light bulb. It’s the most common and well-known bulb shape. You can find them in table lamps, wall sconces, ceiling fixtures and more. ​Bulged Reflector (BR): BR bulbs are known for their conical shape and rounded lens. They are most often used in floodlight fixtures and recessed downlights. ​Candle/Candelabra (C): Candelabra light bulbs are shaped just like, you guessed it, candles! They can have a teardrop, torpedo or flame shape and are used in chandeliers and accent lighting. ​Globe (G): Globe light bulbs are decorative and round in shape. They are commonly seen in bathroom vanity fixtures, ceiling fans and other decorative fixtures. ​Multifaceted Reflector (MR): MR bulbs provide a polished look in your track lighting systems. They are offered in different flood degrees – spot, narrow, and flood – and are used to highlight artwork, architectural elements, and task areas like your kitchen island. ​Parabolic Aluminized Reflector (PAR): PAR bulbs are very similar to BR in shape but are more robust. They are used in your outdoor floodlights and landscape fixtures. Although similar in shape, compared to BR bulbs which provide a more general area light, PAR bulb beams are more focused. ​Tubes (T): The three most common fluorescent tubes are T5, T8 and T12. Tubes are generally used in undercabinet fixtures, laundry rooms, garages and basements. Fluorescent tubes require an additional power source, or a ballast. ​Twist: CFLs, or compact fluorescent, are described as a twist. These bulbs are a popular choice for replacing A-shaped incandescent bulbs as they are more energy efficient. CFL bulbs are also commonly referred to as spiral shaped. ​Now that we’ve established the different shapes to look for, it’s time to address the varying sizes of light bulbs. With each shape offered, there are multiple sizes to choose from. The size of a light bulb is measured in eighths of an inch at the widest point of the bulb – or the diameter. A bulb’s code is created using a letter followed by the measurement. For example, an A19 bulb is arbitrary in shape and is 19/8ths of an inch in diameter. A-shaped bulbs come in a few different sizes including A15, A19, A21 and A23. ​When in doubt, try to bring your existing bulb with you to the store for reference. If you no longer have the bulb, try to get as much information from the fixture itself to help narrow down your choices. Important information to note would be the max wattage your fixture can handle, the voltage and the base type. If you’re still having trouble, give our Customer Service team a call at 877.231.2852 or visit our local sales counters in Ferndale and Wixom Monday through Friday from 7:30 am – 5:00 pm EST. Out with the Bulbs, In with the Tape! Are you looking to add some interest to your home’s interior? LED tape light is growing in popularity in modern interior design concepts. With its versatility, the possibilities are endless! It’s perfect for indirect lighting, task lighting and accent lighting in practically every room of your home. ​Indirect lighting can bring focus and layers to a room by making sure the tape is hidden but still adds an ambient glow. Try putting tape lights in bookshelves, bay windows and architectural elements like ceiling coves. American Lighting Trulux Single Color Kits are fantastic for creating these lighting effects in your home. The kit includes everything you’ll need and is cuttable to fit perfectly into your design. The STL-UWW-5MKIT is 16.4’ long and is cuttable every 6.56” to fit into your specific layout and is dimmable with most electronic low voltage dimmers. Try this kit in your living room or bedroom. Task lighting is a very important aspect when planning out your lighting layout. Tape light is a popular choice for undercabinet lighting in the kitchen. Add more light than you think you’ll need – brighter lights help you focus and concentrate better on the task at hand. When installing your tape lights, place them near the front of your cabinets so the light is in the middle of your countertops to optimize the light output. Try the American Lighting Trulux High Output Tunable Tape Light (HTL-TW-5MKIT) and choose the color temperature that fits your needs, from warm white to daylight. ​With so many options to choose from, tape lighting can be tricky when trying to figure out what will work best for your application. Reach out to the pros at Lighting Supply with any questions. Our Customer Service department can be reached at 877.231.2852 and will be happy to assist you. Lighting Supply Celebrates 35 Years of Service! Lighting Supply is proud to be the nation’s lighting leader since 1983. From LED lights and fixtures to older technologies, ballasts, drivers, ceiling fans and electrical accessories, Lighting Supply has a vast inventory of products and brands. As Lighting Supply celebrates their 35th anniversary, they are extremely excited about the ever-changing lighting industry and their continued role as a prominent lighting retailer. ​It all started with Lighting Supply’s founder, Eugene Sherizen, selling light bulbs out of his truck. Sherizen was able to grow his company over the next 34 years based on the concept of providing incredible service to all customers. Galco Industrial Electronics purchased the company in May 2017 and has continued to support Lighting Supply’s core principles. As Lighting Supply looks to the future, excellent customer service will always still be their top mission. Lighting Supply will also focus on their huge selection, and will continue to provide fast shipping around the country while making sure the sometimes delicate (lighting) materials are extremely well-packaged. ​With it’s popularity peaking in the 1980’s, track lighting is making its comeback with more modern and contemporary looks. Track lighting is used in residential and commercial spaces as a source of accent and task lighting. 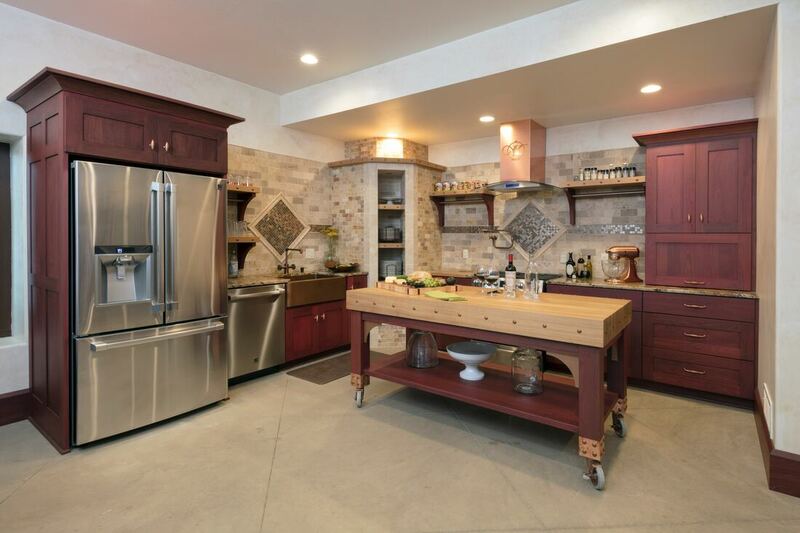 It offers a versatility that is enticing to designers and homeowners. Traditionally used in kitchens, it’s now being installed in living rooms, bathrooms, and bedrooms where it’s being used indirectly by pointing the light source at an accent wall, artwork or display cabinets. Track lighting systems are not limited to being mounted to ceilings only. You can bring light to those shadowy places in your home by adding track lighting to walls and exposed ceiling beams. It’s a unique way to add light to a room and create a bold statement. Track lighting is a series of pendants or track heads that are connected along a track that is most commonly mounted to a ceiling or wall. There are a few things to consider when designing your track lighting installation: track type, layout and power, and track head and bulb type. ​First, choose a standard track style. There are three different types of track – H-style, J-style and L-style, all of which are not compatible with each other. Also, if you choose a proprietary brand, meaning it’s made and sold only by that particular company, you are stuck with choosing lights from that brand only. It’s recommended to choose one of the three standard track systems that offer more options. You can also choose from curved, flexible or straight track sections. Curved and flexible track systems are low voltage and straight track systems run off of line voltage, or the raw voltage coming from a standard outlet. Low voltage systems use less energy, offer a warmer and sharper light, and have more modern styles. They are more costly, as a transformer is needed to convert the standard 120V produced from the outlet to 12V. Line voltage systems are more affordable, as the transformer is not needed, but use more energy than low voltage systems. ​A modern take on track lighting is using track suspension kits. These kits allow you to hang track from ceilings which looks great in exposed high ceilings life lofts or creative spaces. ​Next, determine the layout and how you are going to power your system. Track lighting is versatile in the sense that there are different lengths and shapes for track sections so you can create the perfect layout for your space. You can choose from curved and flexible track for a contemporary look or a straight section for long runs. When determining the placement of your track, install it about 18”-24” away from the wall you wish to light for the best illumination. There are two ways to power your system – connecting the power supply to a junction box or using a power cord in a standard electrical outlet. A plug-in track light requires no wiring but may not have the cleanest look. The fixture must also be located near an outlet. Connecting to a junction box, or hard-wiring, offers a more finished look. However, if no junction box is available, you will need to install one which may require the services of an electrician. ​Lastly, choose your track heads and bulbs. You’ll first need to determine if the purpose of the light is to illuminate a task, such as food preparation, or to provide general lighting in a room. Track heads have a more focused light for tasks or drawing attention to artwork or displays. Whereas pendants offer a more general light, perfect for ambient lighting. Once you’ve chosen your track head type, you’ll need to choose the bulb. Low voltage systems use halogen or LED MR16 and MR11 bulbs. Line voltage systems can use a wider variety, depending on the fixture recommendation, such as MR16, MR11 and PAR20 bulbs. Each of these types of bulbs also come in different beam angles – spot bulbs have a beam angle under 25 degrees and flood bulbs have beam angle of 25 degrees or higher. If you choose an LED bulb, this will also provide more options based on color temperature ranging from warm to cool white. Track lighting can become overwhelming with a ton of options, requirements and planning involved. Give our Customer Service team a call at 877.231.2852 and they will be happy to assist you in finding the perfect system for your space. You can also email or leave a comment below.